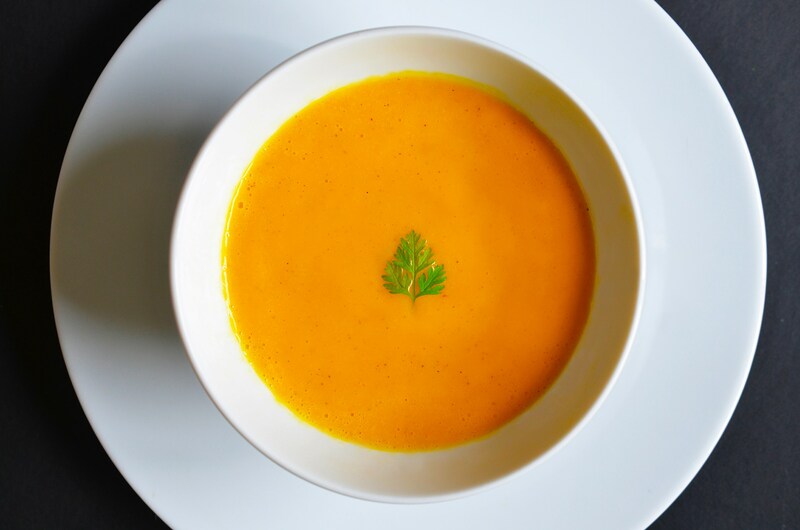 Carrot and Cardamom Soup: simple, seasonal, and paleo. Photo by Henry Fong. I’m on the road today, flying home at long last after my West Coast EGG book tour, so I’ve asked my friend Michelle of Nom Nom Paleo for a guest post and recipe from her dynamic new book while I recover. Thanks, Michelle!—M.R. Nothing signals springtime like a bowl of sunshine-orange soup. And surprise: it’s paleo-friendly to boot! After all, paleo’s not about deprivation, eating tons of meat, or simply recreating grain-free versions of your favorite comfort foods. Many dishes that rely on seasonal bounty are naturally paleo-friendly, just like this one from our new cookbook, Nom Nom Paleo: Food For Humans. Michelle’s post on A Consideration of Paleo. Another paleo recipe for Crispy Pork Loin, from Joshua Weissman of Slim Palate. My dear old pal from college, Marty McDonald, has just launched a site of curated paleo-friendly and delicious foods called Barefoot Provisions. Their beef jerky is a favorite. If you want to delve deeper into the paleo diet, check out Paleo Magazine. Thanks for the tip. Bought the book and am working through it…. My sister is eating Paleo and I am curious. The Nom Nom book sounds approachable for a beginner such as me. Thanks for the good guest bloggers. Hope your West coast trip was fruitful. I use recipes from Michelle’s blog and cookbook all the time and they are easy to follow and delicious. Yesterday, this post’s comments had such a thoughtful discussion of the insides and outsides of pale. Surely their current absence is a technical issue, not something else? Oops — here are the comments I was looking for, http://ruhlman.com/2014/03/nom-nom-paleo-cookbook/. Made this tonight and LOVED it! I am a huge cardamom fan and huge Nom Nom fangirl.